Thank you, Pinterest! I stumbled across a recipe for flourless banana oatmeal muffins (sadly that blog has since disappeared) and thought they sounded great! I was intrigued at the idea of trying a muffin recipe that uses no flour! 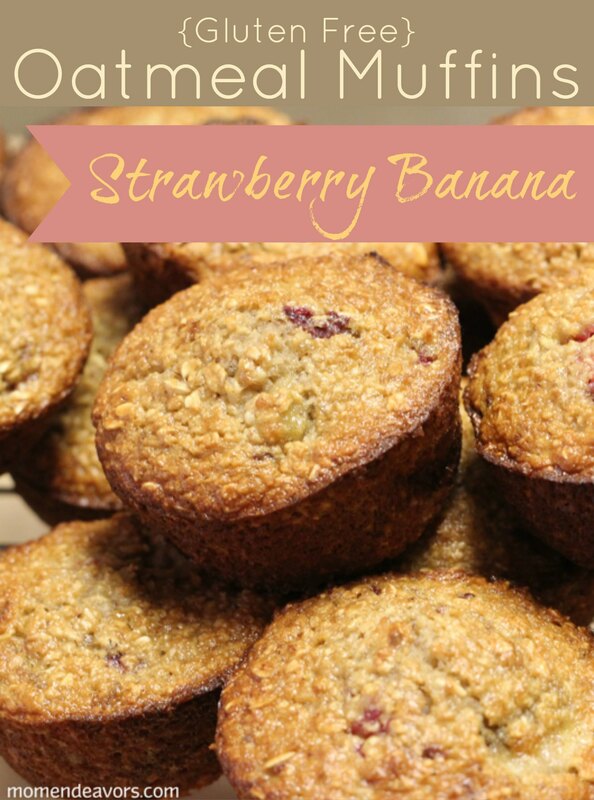 We had some bananas that needed to be used up, so I decided to give them a shot, tweaking the recipe a bit (and adding in strawberries that needed to be used to). And, I’m pleased to say that they are delicious! 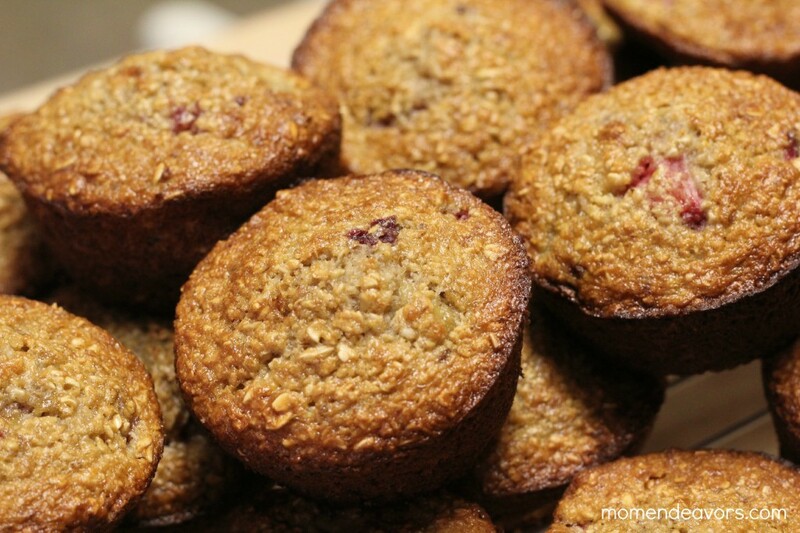 I like them better than our fruity morning muffins and love that are full of oats instead (oats are known to help with milk production too, so they are extra good for me right now)! I made a big batch– half for now and half for the freezer! 1. Preheat oven to 400. Prep muffin tins–I just used some non-stick spray. 2. 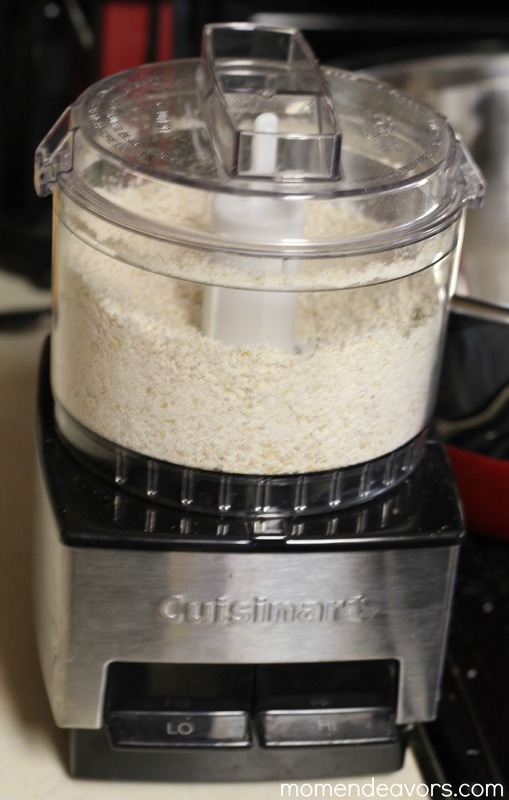 First up, you’ll need to grind up the oats. I used a small food processor, you could also try the blender. 3. In a large mixing bowl, combine all dry ingredients. Then, add yogurt & eggs. 4. Dice strawberries and add the 2T sugar over the berries. 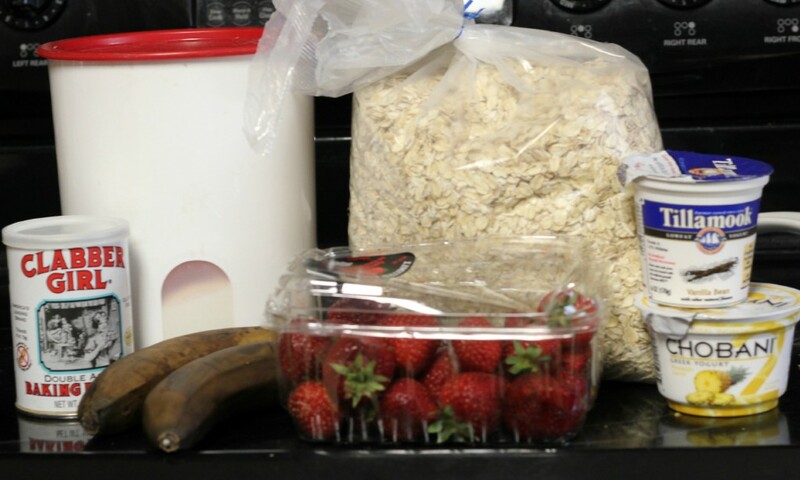 Add mashed bananas to the mixture, then fold in strawberries. 5. Spoon batter into the greased muffin tins and bake for 20-25 minutes (until a toothpick comes out clean). 6. Eat (or freeze) & enjoy! Have YOU tried any good, new recipes lately? Mmmmm looks like one to try. These look delish! K has been on a muffin craze lately! I should do these!! Hi there! “T” is short-hand for TBSP and “t” is short for tsp.